An intimate portrait of the life of the artist Eleanor 'Erlund' Hudson (1912-2011) who is best known for her depictions of women at work in the Second World War. Erlund Hudson’s etchings, sketches and watercolours are nearly always concerned with women at work or at rest, in wartime, domestic or ballet scenes. After a mere 20 years as a professional artist Hudson abandoned painting and became involved in the world of ballet, working as artistic director at the Brooking School of Ballet with Nesta Brooking, her companion of almost 50 years. Although Hudson’s output as an artist was relatively small, its significance is shown in that her work can now be found in important collections in Great Britain and North America, including the Imperial War Museum. 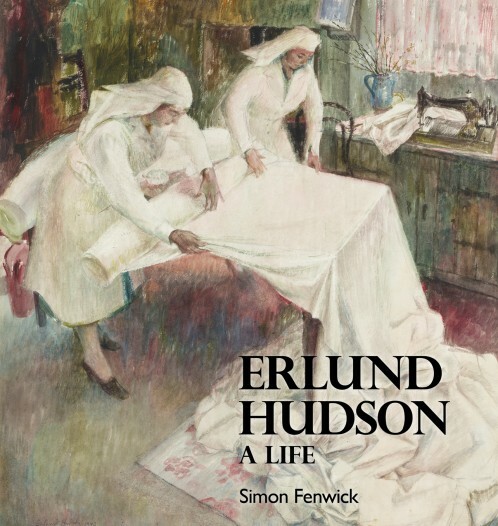 In this first biography of Eleanor Erlund Hudson (1912 – 2011) Simon Fenwick creates a moving and informative portrait of the woman and the artist during her long life. The fully illustrated monograph also includes a list of her pictures shown by exhibiting societies during her lifetime.